The issue is you then start asking people their opinion. People loveeee to give their opinion. 😉 I switched the infant carseat on my registry like six times. And the problem is what works for some doesn’t work for others. 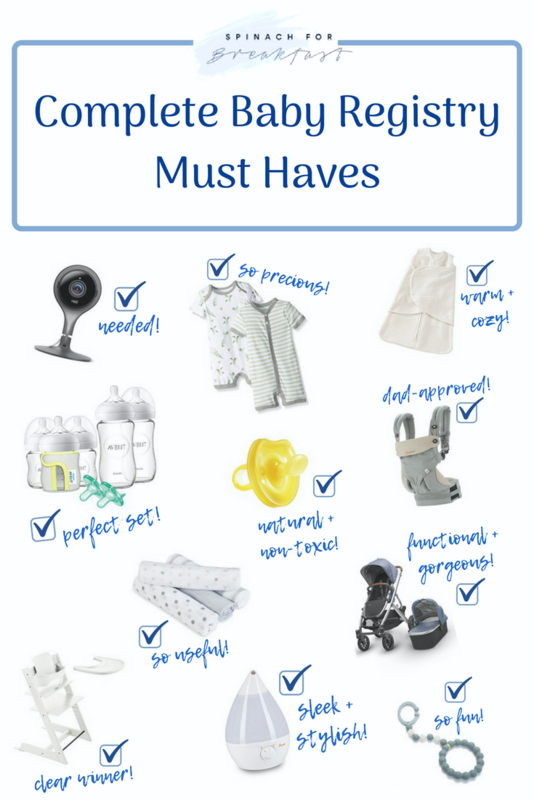 Those who live in a house in the suburbs might swear by something that just doesn’t work for a “city mom.” So all of the suggestions can either be super helpful or really overwhelming! Below is my complete baby registry! 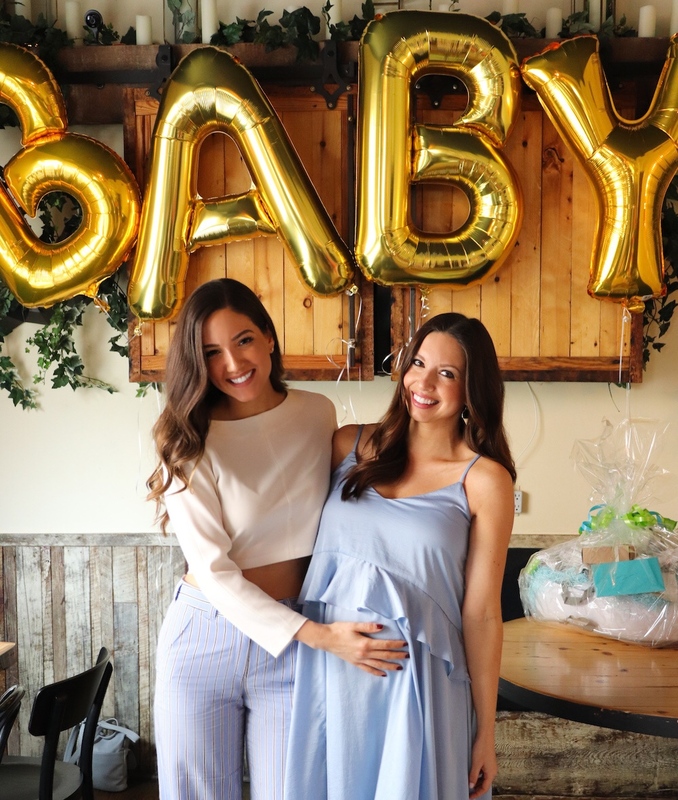 I also included my guidelines for making the baby registry process as fun and stress free as possible! 1. Research a good checklist to get you started. I stalked this one by Lauren Conrad. 2. 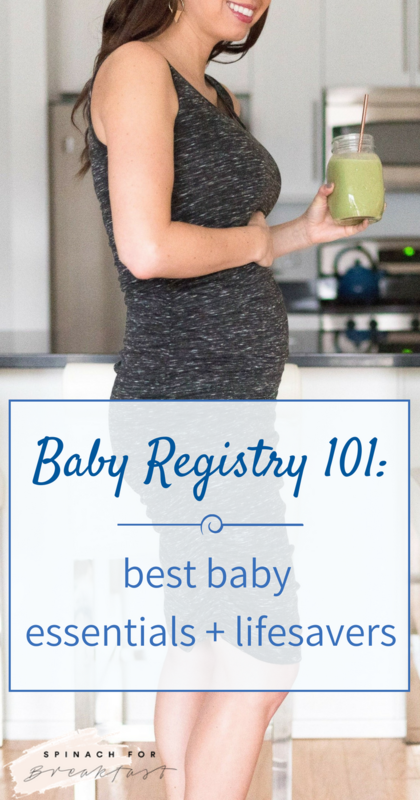 Start you registry on Babylist.com. That way you can pull items from anywhere you want! 3. Keep your registry private and just start adding things. Add multiples of certain items if you aren’t sure, you can always delete. 4. Research the things that are most important to you. It could be “best bpa-free bottles” or “best high chair for an apartment,” just don’t kill yourself researching every little thing unless that’s something you’re totally into. 5. Ask your friends! Just keep in mind that what works for some won’t work for others. I tried to stick to the friends of mine that have the most similar style/lifestyle to makes things a bit easier. 6. When in doubt, you can just return it and buy something else! NBD. Next is what I registered for! Not to give you guys my opinion or anything. 😉 I honestly have no idea if what I picked will need to be changed once the little guy gets here. But I’ve done my research and asked a bunch of people, and this is what I came up with that best fits my personal style and city-esqe lifestyle. I chose the Restoration Hardware Jameson Conversion crib that converts into a toddler bed and later into a twin bed. I’m obsessed with the style, and the little guy will get his use out of this one. My bedding also came from Restoration Hardware. This included crib skirt, sheets, and a quilt. I also added a few swaddle blanket options like this from Aden + Anais swaddling cloths. I went with the Rutherford matching hamper and storage bin set. The Ubbi Diaper Pail is really sleek looking. I got it in white from Pottery Barn. Ever stalk a mom on the street to see what stroller she was pushing? I ended up choosing the Uppa Baby Vista with leather detailing because it’s just so gorgeous. Again, I personally justified splurging more on the items that I (or our caregivers) will be using every day for years. I also went with the Mountain Buggy Nano Stroller for a lighter travel stroller when he’s a bit bigger. This was one of the hardest things for me to settle on. I ended up biting the bullet and putting the Nuna PIPA Lite LX infant carseat and base on my registry and now I am so glad I did. It’s really expensive for a car seat (especially one he will grow out of), but it is SO light! And I needed something I can easily lift and carry. It’s also really safe, and easy to install in your car. I picked the Ergo Baby after lots of people told me they loved it. I don’t have a wrap yet and would love suggestions! I love this one from Pottery Barn! It’s so sweet. I also registered for the DockATot that I am super excited about. It’s a spot for him to lounge safely, and also comes with a toy arch option! Why are diaper bags the worst? I got two Totesavvy inserts (one regular size and one mini) that will turn my Louis Vuitton Never Full bag into a diaper bag. It will be perfect for when I want to run out and still look cute. I also registered for this Freshly Picked backpack which will be easy to carry when I am running errands and also need to push a stroller. Dr. Brown’s bottles are supposed to be amazing, but anyone that I talked to said they are so annoying to clean! I ended up adding the Avent glass bottles and I’ll see how they work out. I also added the Boon Lawn and Twig drying rack set. I picked the Natursutten pacifiers because they are made from 100 percent natural rubber, and are free from any harmful chemicals. I also added these ChewBeads that are also BPA free. If you plan on breastfeeding, get your pump through your insurance for free! Then I registered for the Kiinde Breast Milk Storage Twist Gift Set to get me started. I started with the Puj Infant Tub because it’s small and collapses flat (which is easy to store! ), but ended up switching to the Boon “Soak” 3-Stage Bathtub which has a color changing temperature gauge that I like and he will be able to use for much longer. There are so many cute ones out there, pick what you like! I registered for these from Aden + Anais. I like the sleek look of this Crane cool mist humidifier. The two sound machines that people recommend were by Hatch and Marpac. I might end up getting both (please sleep baby, I beg you). However I went with the Hatch on my registry because again I like how I can control it from my phone. There is also a lighting aspect that is great for nighttime nursing. I added some basics onto my registry, as well as a few other clothing options to set the tone for my style. 🙂 Burts Bee’s, H&M, and Zara have super cute options. That way if people want to buy clothes, they have an idea of what I like! And my shower dress is from HATCH Collection!